Explore Tamworth’s rich heritage this season and prepare for February half-term activities and egg-citing Easter events. March sees the return of the popular monthly street food event, Street Eats and Beats. St Editha's Square will see World street food traders in pop ups and vehicles waiting to tantalise your taste buds with their gourmet dishes. Plus a DJ and live entertainment into the evening. The Hastilow Drama Festival also returns, an exciting week of theatre where youth and adult groups show off their talent in this popular One Act Play Festival. 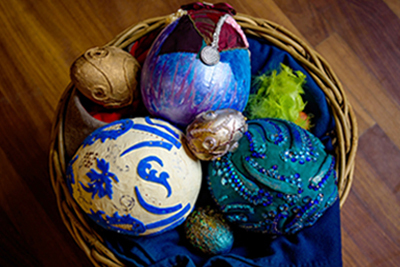 Family fun for Easter begins on April 13 -28 at the castle, with an ‘egg-stra’ special egg hunt. Ruby the Castle Dragon has disguised her eggs so that the dastardly dragon hunter will be unable to detect them. As an extra precaution Hafgrim, Ruby’s brother, has hidden the eggs and now cannot find them! 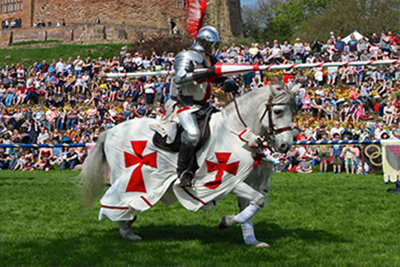 Save the date for this year’s St George’s Day celebrations on Saturday, April 20, in the stunning castle grounds. The day promises a host of activities for all the family which attracts thousands of visitors each year. This year will see the return of crowd favorite’s such as live-action Medieval Jousting and a living history encampment featuring a host of medieval games and displays. An epic adventure for all the family! Other new additions to the programme are a fire-breathing dragon and children’s craft activities including ‘The Big Sow’ – where families are invited to take part in ‘Blooming Tamworth’ and help sow seeds on the Riverbank. As part of the month-long campaign for Blooming Tamworth, Ankerside Shopping Centre will be hosting a variety of creative sessions for the whole family to take part in. This will include a shield-making craft on Tuesday, April 16, run by Community Together CIC; the Big Sow event on Saturday, April 20 and on Tuesday April 23, green-fingered visitors will be able to get stuck into a gardening workshop. There will be the opportunity for people to receive sunflower seeds, plant pots and tips on how to grow their own, with the option to do this either at the unit or to take away a kit to plant the seeds at home. Mark Burbridge, Centre Manager at Ankerside Shopping Centre, said: “With so many great things to do this Easter break, Tamworth is set to have a truly brilliant time. “Our shield-making session will get visitors into the spirit of St George’s Day, and The Big Sow offers a great chance for the community to have direct input for a stunning showcase of flowers for Blooming Tamworth. “Our gardening workshop is also a fantastic way for families to spend quality time together learning all about growing and nurturing plants. It will hopefully inspire people to continue this at home and become a new hobby. Other activities listed on Visit Tamworth include cycle hire, a big bounce at Wilnecote Leisure Centre, activities at Middleton Hall and a packed programme at Ash End Children’s Farm. If you fancy a traditional Easter Sunday bonnet parade, then turn up to Bolehall Manor Club on April 21, for games, prizes, disco and chocolate eggs. This event will help raise funds towards the costs of this year’s Tamworth Carnival. Get ready for the musical classic ‘Annie’ which will be performed at Landau Forte Academy from April 17 to April 20. Tamworth Musical Theatre Company presents this hit production set in 1933 New York during the grip of The Great Depression and follows the story of a fiery young girl, Annie, who lives in an orphanage run by the strict and cruel Miss Hannigan. This production is guaranteed to get audiences singing along to well-known classic songs such as ‘Tomorrow’ and ‘Hard Knock Life’. As well as Tamworth’s own 14 nature reserves; the town is bordered by a number of parks which hold their own spring, half term and Easter events which are brilliant for families. These include Kingsbury Water Park, Pooley Country Park and Heritage Centre, Rosliston Forestry Centre and Conkers Discovery Centre. Don’t forget the town will begin it’s preparations for the award-winning Heart of England in-Bloom competition. Tamworth is proud to hold the gold award for the past nine years and will be ensuring that floral displays will not disappoint visitors and judges this year. 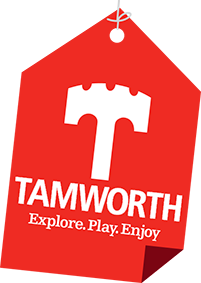 Tamworth offers a variety of entertainment and activities to suit all tastes, from music, comedy and theatre productions, to farms and fayres. Check out our What’s On pages to see what the season has in store.